After the achievement of its Mi 3, Xiaomi is rolling out yet another affordable smartphone in India, exclusively through Flipkart. 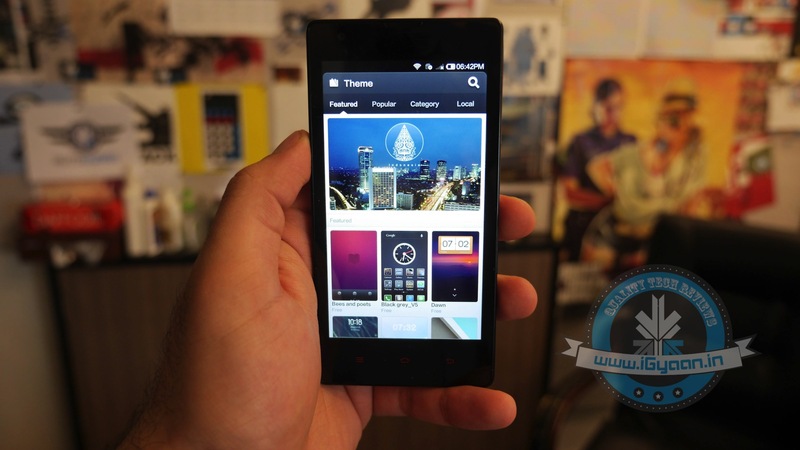 The company is all set to formally uncover the Redmi 1S valued at Rs 5,999. All things considered, as budget-friendly devices to come in this comparative price bracket and expect to contend with the ruling budget Android, the Moto E and Moto G which are sold at the price of 6,999 and Rs. 10,499. In terms of display, the Redmi 1S comes with a 4.7 inch display which has a 720 x 1280 resolution, giving it a total pixel density of 312 PPI. The Motorola Moto E come with a 4.3 inch which is not a IPS display and has a 960 x 540 resolution giving it 256 ppi, which is much lower than the Redmi 1S. On the other hand Moto has a 4.5 IPS display which has a 720 x 1280 resolution, same as the Redmi. However, the Moto G is at power here with 326 PPI. Moto G also has a Corning Gorilla glass, so does the Moto E, but Xiaomi Redmi 1S lacks it and has Dragontrail instead. All three devices i.e. 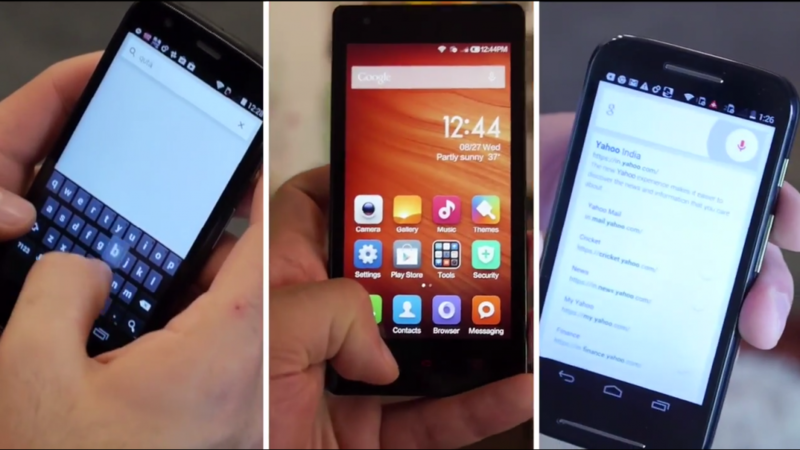 Moto E, Moto G and Xiaomi Redmi 1S are Dual Sim GSM devices. So, they will work on 3G and 2G GSM networks. On the hardware side, Redmi 1S comes with Qualcomm Snapdragon 400 on quad-cores at 1.6 GHz. Which is mighty impressive for the price bracket and compared to Moto E’s Snapdragon 200 at dual-core 1.2GHZ processor. Where as, Moto G packs a snapdragon 400 which is quad-code at 1.2 GHz. Having said that, Redmi 1S is undoubtedly leads the two Motorola handsets as far as the processor is concerned. All three have 1GB of RAM, and while the Redmi 1S along with Moto G has 8GB of Internal storage, Moto E lacks behind with 4Gb of internal storage. Also, the Redmi 1S does accept a micro-SD cards up to 64GB, while the Moto E accepts upto 32 GB micro-SD cards. The Moto G, despite being the most expensive handset in the lot, does not. As far as the battery is concerned, Redmi 1S sports 2050 mAh battery, the Moto E comes with comes with 1980 mAh battery and Moto G comes with 2070 mAh battery. So, there not a considerable difference between the batteries of the three handsets. The cameras of the devices are varied, the Xiaomi Redmi 1S fashions an 8MP primary camera that supports 1080p video shooting and the secondary camera of 1.6MP which supports 720p video shooting. 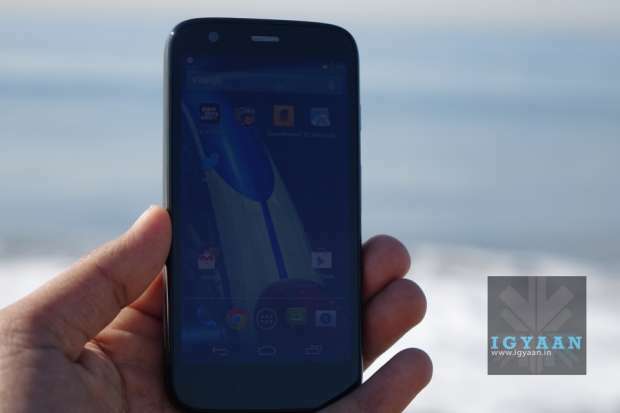 Moto E disappoints us with no secondary camera and the main camera of 5MP with only 480p video capability. On the other hand Moto G has a similar 5 Mp camera but only does 720p videos along with a 1.3Mp secondary shooter. 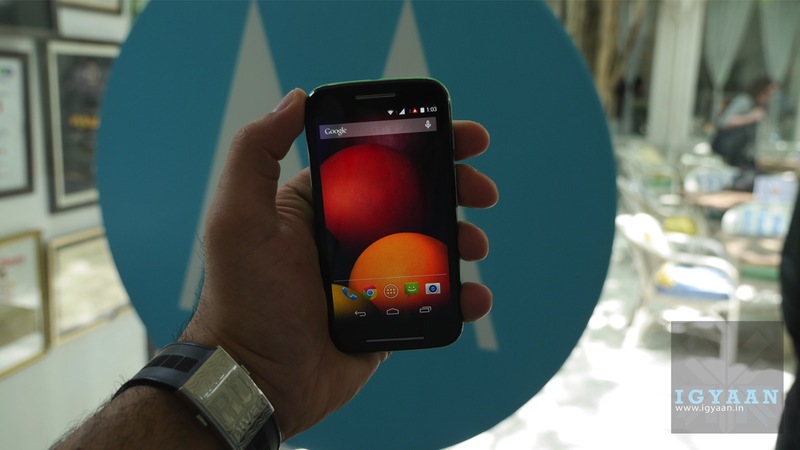 Moto E also lacks a flash light unlike other two devices. In terms of the camera and video quality Redmi 1S beats both the Motorola devices. Motorola’s devices take lead in one of the most important specs of any smartphone- OS and updates. Motorola devices comes with Android 4.4 out of the box where as redimi 1s comes with Android 4.3 out of the box with a promised upgrade soon. Moto E as well as Moto G are going to be one of the first devices to get Android LMP update after the Nexus devices. With respect to the specifications, pricing and overall usability of the device, we feel the Xiaomi Redmi 1S seems to be a value for money package. But with the limited 40,000 units going on sale on 2nd Sept, a lot of buyers and re-sellers are going to be in line to get their hands on the device, so be sure register first and wait for the device. One major advantage that Motorola devices bring, is that they are now readily available and also the company has an impressive service network along with good customer service support. This can’t be said for the Xiaomi at the moment because they are struggling with their service support which is kept down to low number of service centre and replacements offered by Flipkart.